When an individual is accused of cheating the government or another entity, the consequences are steep. A conviction of a federal crime or felony offense will undoubtedly present a number of challenges in your life, which makes your choice in a criminal defense attorney in Houston a critical one. If you’ve been accused of medicare fraud or medicaid fraud, you need a strong advocate on your side who can guide you through the legal process. At the Law Offices of Seth Kretzer, we are committed to protecting the rights of those facing serious criminal charges. Our practice is focused exclusively on criminal defense cases, and we offer aggressive, straightforward legal counsel for our clients. Texas relies on the Health Care Fraud Prevention and Enforcement Action Team (HEAT) to fight Medicare and Medicaid fraud in U.S. regions with high-volumes of false claims. The FBI, Department of Justice, Office of the Inspector General, and Department of Health and Human Services all work in concert to reduce the amount of false claims that are paid out. In 2016 alone, the DOJ purportedly investigated over 200 cases of health care fraud that totaled more than $900 million dollars. Data analysis is one of the main tools that these governmental agencies are using to unearth medicare fraud, which can lead to innocent health care providers being targeted for investigation. If you’re being investigated for false medicaid or medicare claims, make sure you have a trusted Houston medicaid fraud attorney to aggressively represent justice on your behalf. Medicare fraud lawyer Seth Kretzer has been practicing for more than 10 years and is widely respected in the legal community. He is known for his legal abilities and his in-depth knowledge of the law. You can trust that when you are represented by our firm, we will use all available resources to protect your rights. 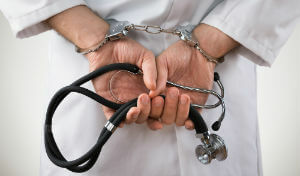 We invite you to contact the Law Offices of Seth Kretzer online, or to 713-775-3050“>call us at 713-775-3050 when you need experienced and reliable legal assistance with your Medicare/Medicaid fraud criminal defense or appeal.